Its size is impressive because it gives a clear idea of ​​what life must have been like at that time. We met up with some friends from Caceres in Vilanoba. 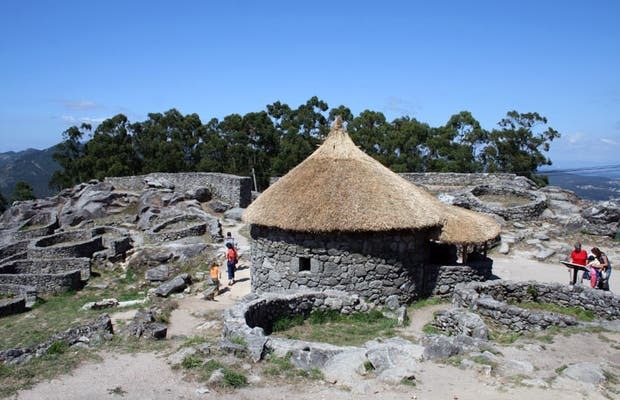 We were taken to visit the area and among other places they took us to a Castro Celta which is situated on top of the mountain, a hill overlooking the valley, the Galician river and the coast. It is the perfect place to look over the surrounding environment. They say in this town there were more than 3000 people living there. Its size is impressive because it gives a clear idea of ​​what life must have been like at that time.